You may have noticed that many people these days are eating what looks like grass bunched up on their sandwiches and salads. The jumble of tender green and white shoots are sprouts, the very beginning growth of a seed. Fans of this food trend tout the vitality and healthy energy of the young plant for its health benefits. Is there merit to their claims of increased vitamins and minerals and amazing health benefits? Sprouts have been shown in research to help with everything from inhibiting cancer growth to protecting the liver against damage due to non-steroidal anti-inflammatory drugs (NSAIDs). Here are just a few of the study results:. 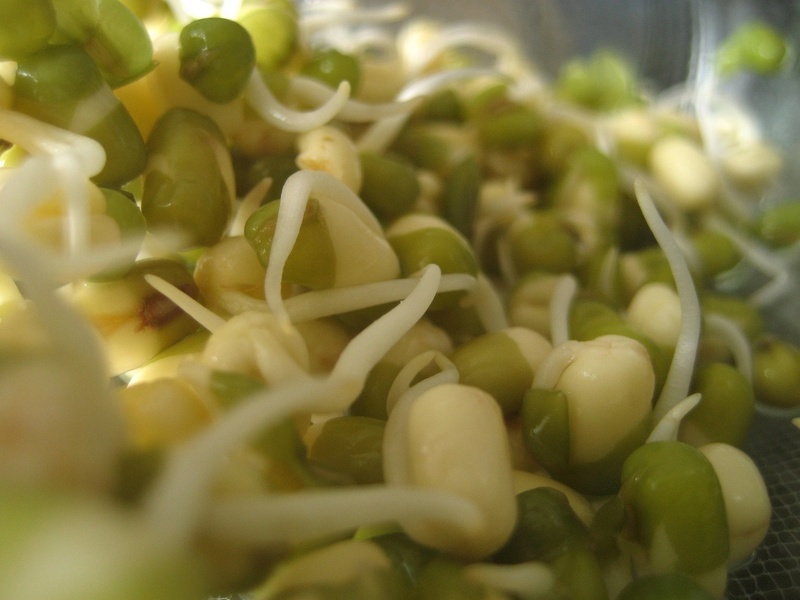 A 2007 study by the Linus Pauling Institute Department of Environmental & Molecular Toxicology at Oregon State University found that study participants who ate one 2.5 ounce serving of sprouts had inhibited prostate cancer growth for four to six hours afterwards. Broccoli sprouts have been proven to eradicate H. pylori bacteria in just seven days with a single serving a day. H. pylori is the bacteria that causes ulcers. Sulforaphane (SFN) found in broccoli sprouts was also found to have a protective effect on the stomachs of people who frequently take NSAIDs. For chronic pain sufferers who rely on NSAIDs rather than opioids this can be very helpful. Pumpkin seed sprouts can help control blood glucose levels to help treat diabetes. This is a traditional medicinal approach that has been used for years but is now gaining traction in the research. Significant to pain patients, sprouts have been proven in study after study to reduce inflammation not only in the gut but also all over the body. Inflammation is a serious issue that has been linked to depression and diabetes. It causes significant pain and illness due to conditions such as rheumatoid arthritis. The studies on sprouts and their various benefits to the body are too numerous to list. It is important to note that many of these studies have only been performed on laboratory animals, but the results have been promising enough to prompt researchers to continue building a body of positive research. In addition to all the benefits for pain patients, sprouts in general are very high in vitamin C, making them a great way to add antioxidants to your diet. As with most things, all is not perfect in sprouted foods. Raw sprouts purchased at a grocery store have a high risk of contamination by e. coli and other food-borne pathogens. The manner in which they are grown (in a warm greenhouse) and their shape (a little seed pod) make them prime carriers of any speck of pathogens that they might pick up along the way. Just washing them is not always effective. Some grocers recommend soaking in a mild vinegar solution before rinsing and serving, but if you really want to protect yourself against sprout-borne food poisoning, grow them yourself. It is easy, cost effective, and rewarding. Plus, they grow very quickly so you will always have a fresh supply at hand. You don’t need any fancy equipment, but you can buy sprouting kits online if you’d prefer. You need a large Mason jar, cheesecloth, organic sprout seeds, and a bowl. Soak your seeds in water for eight hours in the Mason jar (overnight works well). In the morning, put the cheesecloth over the mouth of the jar (hold in place with the canning lid or a rubber band) and drain the seeds. Rinse the seeds and drain again. Place the Mason jar at angle in a bowl so all of the water can drain, and place the bowl in the sunlight. Repeat this process in the morning when you wake up and at night before bed. In about a week, your seeds will begin to sprout. They are then ready to eat! Rinse and drain one more time before you store them in the ‘fridge. Add sprouts to sandwiches and salads, or just eat them plain by the handful. There are many different types of sprouts to try, but make sure your seeds are organic. As long as your sprouts are fresh, clean, and organic, there seems to be no downside to this vibrant little plant food. As always, when starting a new dietary plan, consult your doctor. Seems like sprouts are more than just a flash-in-the-pan trend. Have you tried sprouts? What did you think?